Often, corporations are more concerned with profit than people. Manufacturers often fail to provide warnings about their products, or they may be unaware of harms that their products may cause. Property owners may not warn visitors about dangerous property conditions that may cause serious harm. A factory may fail to use reasonably safe practices in connection with hazardous waste. 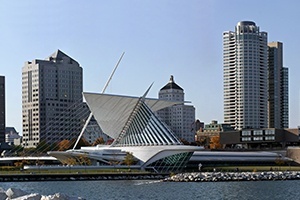 If you have been hurt due to someone else's carelessness or misconduct in Milwaukee, the experienced personal injury attorneys at Moll Law Group may be able to help you recover compensation. Products such as toys, food, pharmaceuticals, medical devices, and auto parts may be defective in three main ways: how they are designed, manufactured, or marketed. How these claims are pursued often depends on state laws, which vary from state to state. The Wisconsin Omnibus Tort Reform Act, which took effect in 2011, contains a few provisions related to product liability that change pre-existing laws. Under this 2011 law, to prove that there is a design defect in a particular product, you will need to show that there is a reasonable alternative design that would have lowered the risk of foreseeable harm. The plaintiff needs to show that declining to use a safer design made the product unreasonably dangerous, rather than focus on what consumers would expect. Once this is established, the plaintiff also needs to prove (as in the past) that the defect made the product unreasonably dangerous, that it was in a defective state when it left the manufacturer's control and reached the injured person in the same state, and that the defect caused their injuries. In cases involving dangerous drugs or defective medical devices, we may also consider whether there was medical malpractice. To establish a medical malpractice lawsuit, you will need to prove that a doctor or other health care provider deviated from the practices that a similar provider would have followed when faced with a similar patient, and this deviation caused your injuries. Noneconomic damages for subjective forms of harm such as pain and suffering may be available in medical malpractice cases in amounts up to $750,000, while economic damages are not capped. State and federal laws govern nursing home abuse cases. Nursing homes may be held accountable if a resident is injured because they failed to hire qualified staff, failed to train staff properly, neglected their duties or the rights of patients, or failed to provide a safe living environment. Our firm may be able to help you hold a nursing home responsible if you or a loved one is injured while living as a resident there. Property may be dangerous for a number of reasons, including poor lighting, broken stairs, broken railings, clutter, or shoddy construction. Property owners are required to use reasonable care to keep their premises safe for visitors. While they are not insurers of safety, a property owner that knows or should know about a dangerous condition but fails to repair it or provide warnings may be held accountable if a visitor is hurt. Most car accidents could be prevented if drivers consistently used reasonable care. If a driver's breach of reasonable care caused your injuries, you may be able to bring a personal injury lawsuit. Compensation may account for medical costs, lost wages, mental anguish, and pain and suffering. It may take years before exposure to a dangerous or toxic substance results in cancer or another serious illness. If you were a consumer or worker exposed to substances like asbestos, arsenic, lead, or other materials known to cause illnesses, and you were injured as a result, you may have grounds to file a toxic tort claim. If you have been injured due to someone else's negligence or misconduct in Milwaukee, our personal injury lawyers can help you assert your rights. Billions of dollars have been recovered in cases in which Moll Law Group has been involved. Call us at 312-462-1700 or complete our online form for a free consultation with a personal injury or product liability attorney.